MARISTAS D – AGUILAR FEM. MARISTAS C – AGUILAR MASC. JORGE MANRIQUE A – FILIPENSES MASC. 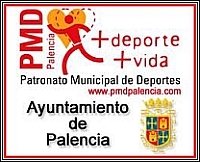 MARISTAS A – FILIPENSES B FEM. FILIPENSES A FEM. – AGUILAR FEM. TELLO TÉLLEZ – AGUILAR MASC.